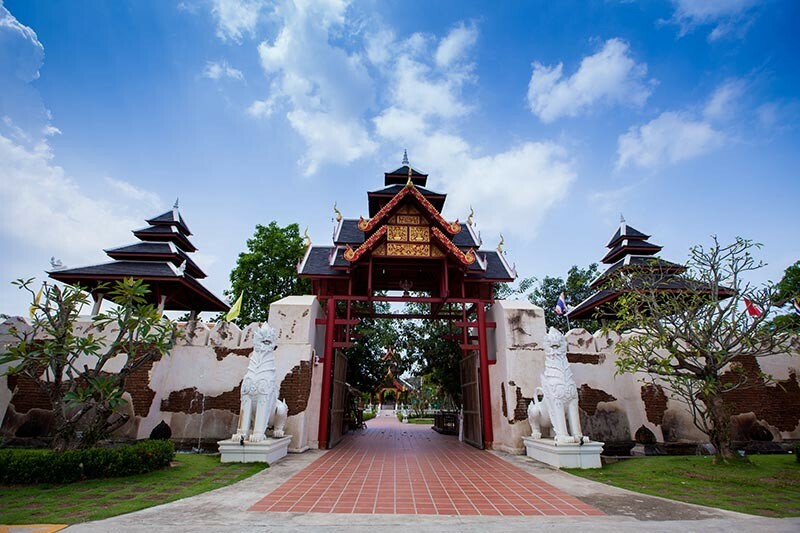 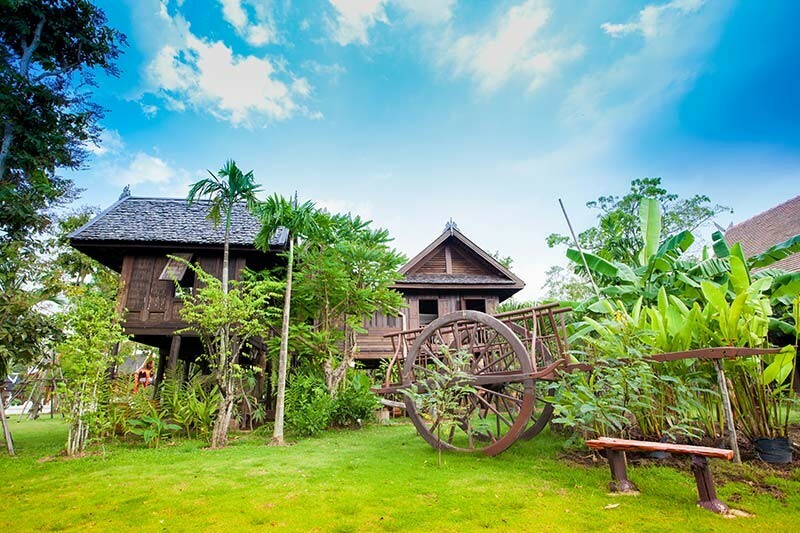 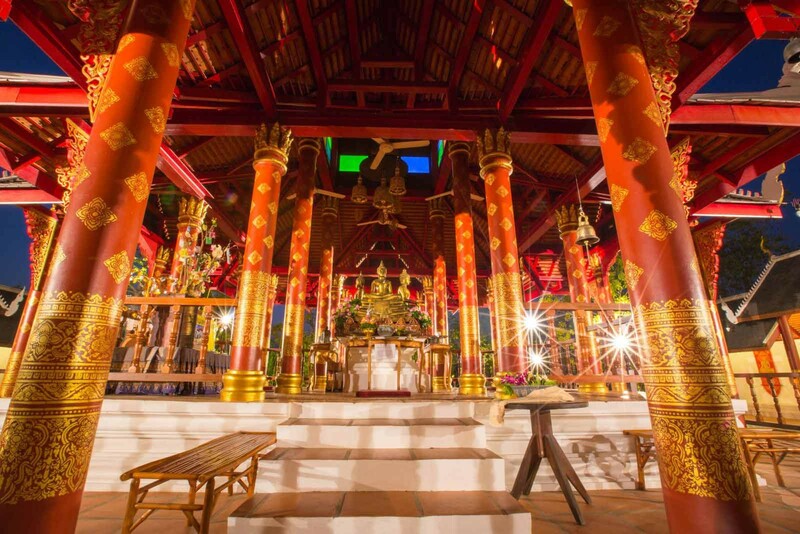 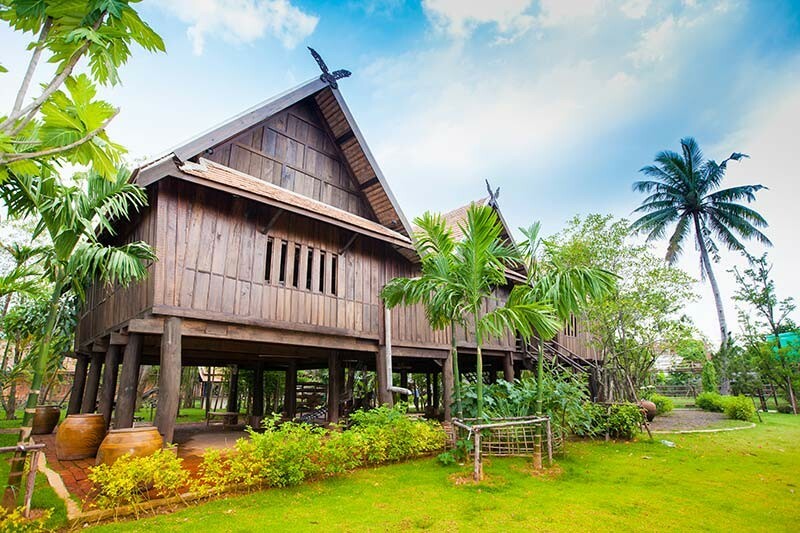 Thai Architecture: the multi-gabled pagoda, the alms bowl pavilion, houses in varied styles from the four regions of the country including those of remote ethnic groups, and a Khan Tok Northern style restaurant. 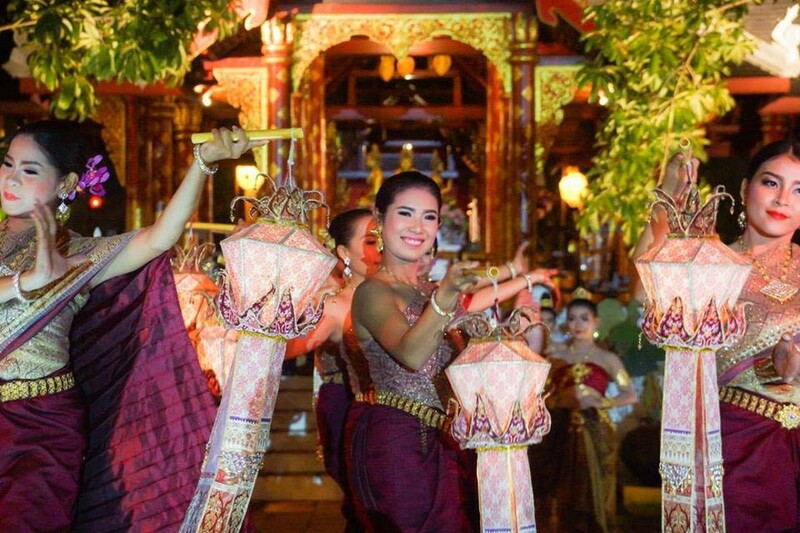 Thai Arts: sculptures and ancient Buddha images, paintings and bas-reliefs depicting famous Thai stories such as Thao Surannari and Kinnari playing in the water. 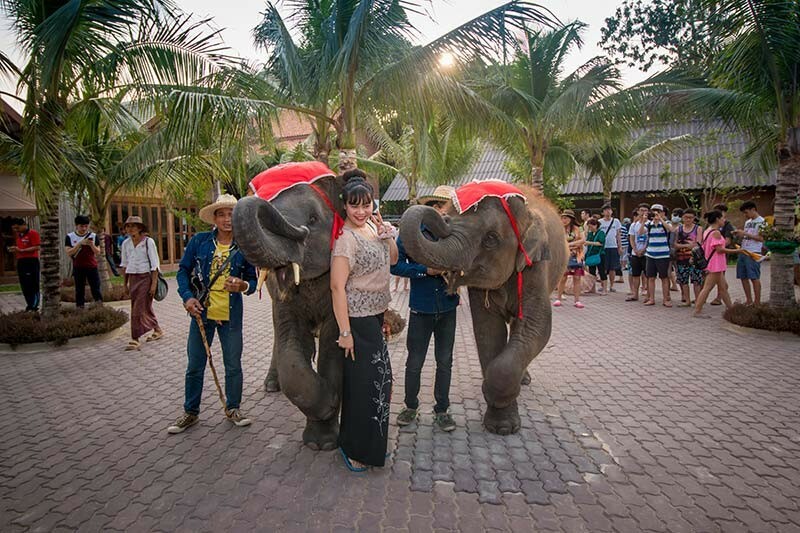 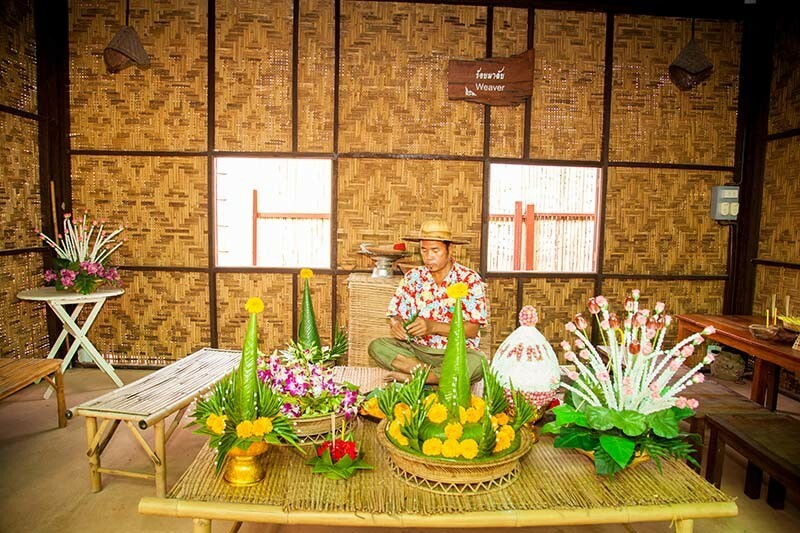 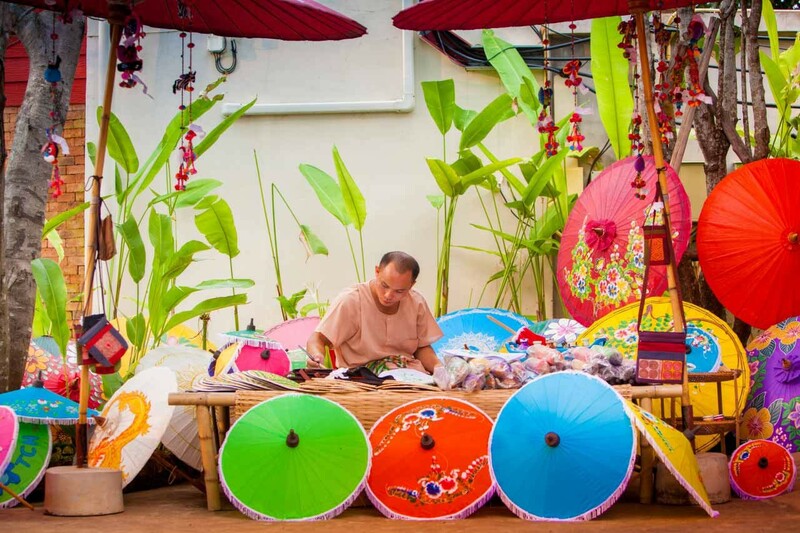 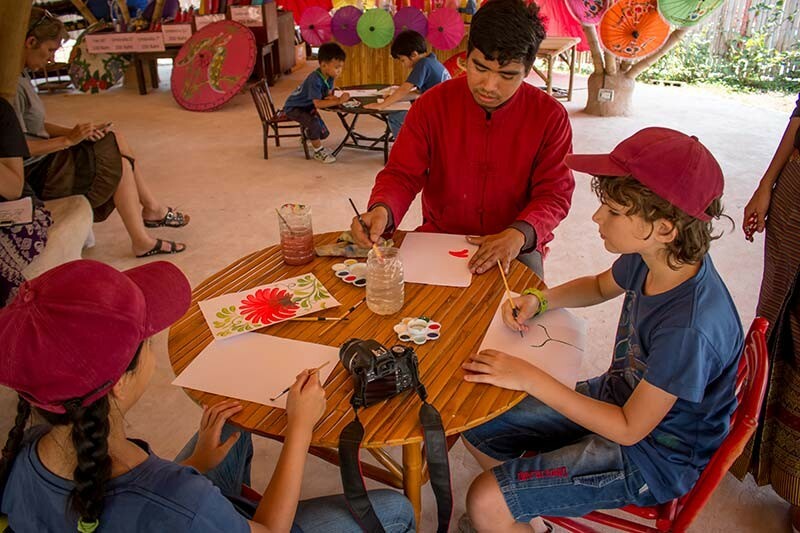 Thai Activities: painting on cotton cloth and mulberry paper, pottery making, wood carving, making royal Thai sweets, and other skilled crafts. 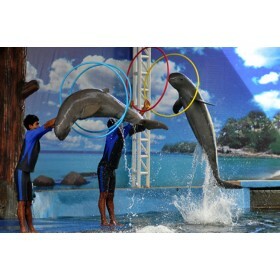 • Free of charge for children less than 80 cm.